Finally, there's a non-theoretical, practical primer on all the basics of IP networking -- perfect for Web professionals, LAN managers, MIS managers, application developers, network administrators, and ISPs. This hands-on guide teaches all the fundamentals of IP addressing, routing, and troubleshooting -- with real-world exercises and examples throughout. 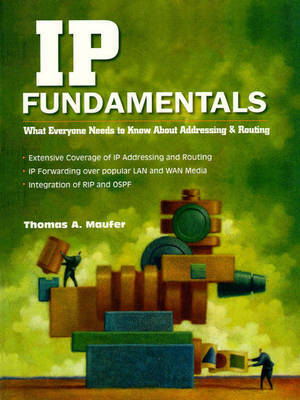 The book contains broad coverage of the IP protocol itself; how IP operates over Ethernet, Token Ring, ATM, FDDI, and Frame Relay; the interplay between addressing and routing; OSPF; BGP-4 and its implications for edge customers; routing protocol interactions; techniques for minimizing and simplifying import/export; and more.